Mary Bohman is Administrator of the Economic Research Service (ERS), USDA's intramural, social science research and statistical agency. The ERS mission is to anticipate trends and emerging issues in agriculture, food, the environment, and rural America and conduct high-quality, objective economic research to inform and enhance public and private decision making. Mary joined ERS in 1997 and served in other leadership roles and short term assignments at the Office of Science and Technology Policy and to USDA's Under Secretary for Farm and Foreign Agricultural Services before being appointed as Administrator in 2011. From 1990 to 1997 she was on the Agricultural Sciences faculty at the University of British Columbia. Mary first worked in agriculture and rural development as a Peace Corps Volunteer for cooperative development in Togo, West Africa in the early 1980s. She received her Ph.D. from the Department of Agricultural Economics, University of California, Davis and her B.S. from the School of Foreign Service, Georgetown University. Join the ARA Section to receive discounted rate. Professor Chambers currently works at the Department of Agricultural and Resource Economics at the University of Maryland. He has published numerous articles, books, and book chapters on production economics, agricultural economics, econometrics, industrial organization, public economics, microeconomic theory, and agricultural policy analysis. 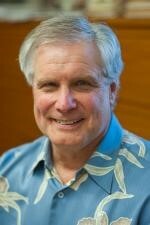 He served as senior staff economist for agriculture at the U.S. President’s Council of Economic Advisers in 1985-1986. He is a Fellow of the Agricultural and Applied Economics Association (AAEA) and has received numerous research awards from the AAEA and other professional associations. Join the Extension Section to receive discounted rate. 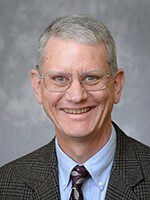 James Mintert is a professor and extension economist in Purdue’s Department of Agricultural Economics and serves as director of the Center for Commercial Agriculture. Prior to joining the Purdue faculty, Jim was a professor, livestock marketing economist, and Extension state leader in the Department of Agricultural Economics at Kansas State University. He holds bachelor’s and master’s degrees in agricultural economics from Purdue and a doctorate from the University of Missouri. Jim acquired his interest in agriculture while working on his family's farm in the Mississippi and Missouri river bottoms, just north of St. Louis, Missouri. Recently, Jim has focused his attention on developing and producing the Purdue University-CME Group Ag Economy Barometer, the first sentiment index focused on the U.S. farm sector. Launched in fall 2015, the Ag Economy Barometer draws upon a nationwide monthly survey of 400 agricultural producers to provide insight into producers’ perspective on economic conditions in the U.S. farm sector.